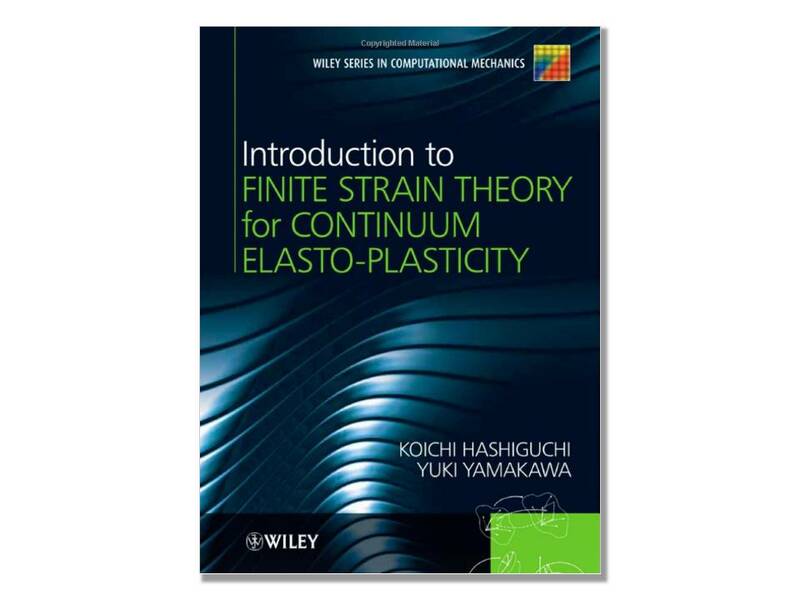 "Introduction to Finite Strain Theory for Continuum Elasto-Plasticity"
by Koichi Hashiguchi and Yuki Yamakawa. The fortran computer program `returnmap' and the all accompanying data are copyrighted by Yuki Yamakawa. The program is licensed free of charge. There is no warranty for the program and its sample data to the extent permitted by applicable law. Except when otherwise stated in writing the copyright holders and/or other parties provide the program "as is" without warranty of any kind, either expressed or implied, including, but not limited to, the implied warranties of merchantability and fitness for a particular purpose. The entire risk as to the quality and performance of the computer program is with you. If the program is proved to be defective, you should assume the cost of all necessary servicing, repair or correction. Please note that e-mailed inquiry will not necessarily be responded. [January 18, 2013] The source code of the "returnmap" program and sample data are now uploaded and available from the left menu. [July 11, 2012] The source code of the fortran program `returnmap' and sample data are currently being prepared to be available in this web site. Availability will be announced here. Copyright © 2012-2013 Koichi Hashiguchi and Yuki Yamakawa. All Rights Reserved.